There are at least two places in Braj dedicated to Shri Krishna’s friend, Uddhava – Uddhava Kund (Uddhava Baithak) in Govardhan and Uddhava Kyari in Nandagaon. After Uddhava tried to console the Gopis at Uddhava Kyari, Uddhava took the form of the grass and bushes in order to get the dust of their lotus feet. Later he also appeared at Uddhava Kund when the queens of Dwarka came to Braj due to their feelings of separation from Shri Krishna. Uddhava tried to console the gopis who were feeling intense separation from Shri Krishna, but ended up accepting them as his guru. His heart remained in Braj, and he took the form of the shrubs and grasses, hoping to get the dust of their feet. Shri Krishna sent Uddhava to Braj to console the gopis and tell them about connecting with the Supreme through yoga and Vedic rituals, about which he was supremely knowledgeable, however, Uddhava’s knowledge was no match for the gopi’s loving devotion. But when the Dwarka queens were feeling separation and came to Braj, Uddhava helped to console them. It is said that when Krishna’s grandson, Vajranabh Maharaj, brought the Dwarka Queens to Braj, they held a kirtan at Uddhava Kund in Govardhan. Uddhava appeared at the Kirtan, and following his appearance, Shri Krishna appeared. Uddhava Kund is west of Kusum-sarovara on the right side of the Govardhan Parikrama path. Uddhava Kyari is situated near Lalita Kund in Nandagaon. 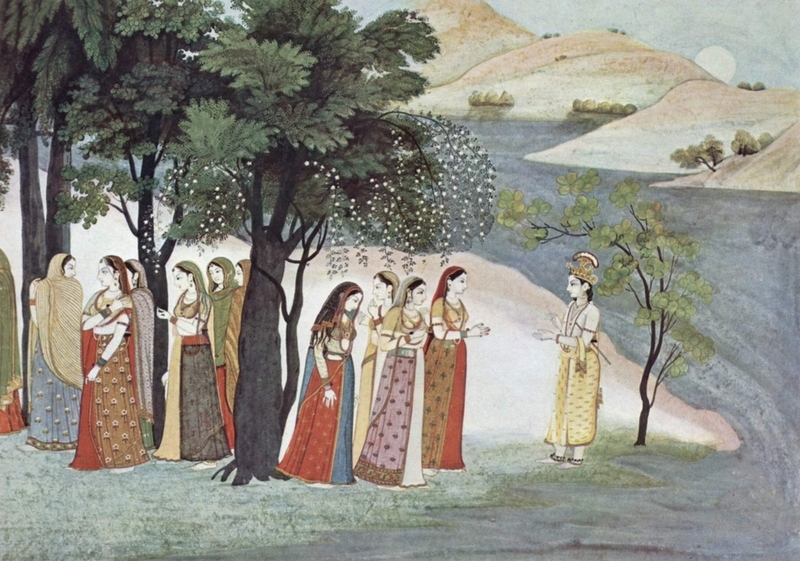 The gopis were most concerned about Krishna and asked about his well being and activities. They were most concerned when they heard that outside of Braj, He doesn’t play his flute. 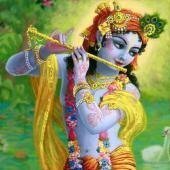 According to Bhagavat speaker, Braj Bhushan Tiwari, for four months that summer, Uddhava visited the ‘lila sthans’ of Braj while relishing the sweetness of Shri Krishna’s pastimes.